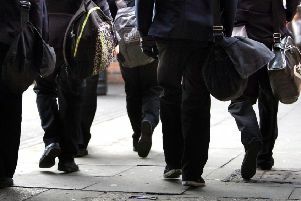 Bosses at South Tyneside College have ordered a two-day shut-down due to a major gas fault which cut classroom heating. Staff and students were sent home shortly after lessons began on Monday after temperatures inside the South Shields site plummeted. The disruption has also led to the cancelling of an information open night, held on the first Tuesday of each month. Learners were told of the closure mid-lessons, and the college also announced the move online. Engineers are understood to be working to fix the fault and the site – known as the Westoe campus, in St George’s Avenue - is expected to fully reopen on Wednesday. No other details of the fault were announced, but a spokeswoman confirmed the shut-down was called at 10.45am on Monday. She added: “This is due to a major gas fault. We are working with gas works to rectify the situation. South Tyneside College, which includes the world-leading South Shields Marine School, advised learners to monitor its social media platforms for updates. The college is part of Tyne Coast College, formed in August last year from a merger with Tyne Metropolitan College (TyneMet), in North Tyneside. Tyne Coast College’s other brands include Queen Alexandra Sixth Form College, in North Shields. Other provision is Career College North East, TMC Campus, IGNITE Centre for Engineering & Innovation, Marine and Offshore Safety Training Centre, and Creative Studios.